I spent a lot of my childhood between Alberta and Colorado, which is pretty great considering the beautiful mountains and landscape. But since those days long (long) ago, the City of Calgary has grown considerably in size due changes in business and relocations west (as well as proximity to outrageously stunning ski towns like Banff and Jasper). Just take a long at the outstanding Travel Alberta instagram account to get inspired by the province’s many beauties, but I digress…onto The Calgary Stampede. For 10 days every July, the city turns into one big party as the festival draws some huge talent for it’s concert and rodeo, not to mention a lot of food and drinking for its exhibition. 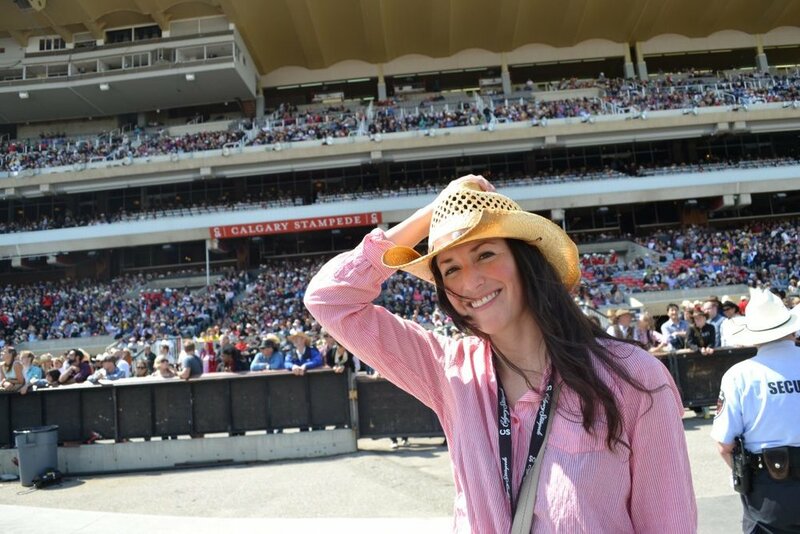 Billing itself as “The Greatest Outdoor Show on Earth”, it features one of the world’s largest rodeos, a parade, midway, stage shows, concerts, agricultural competitions, chuckwagon racing and First Nations exhibitions. The idea began when the Calgary and District Agricultural Society was formed in 1884 to promote the town and encourage farmers and ranchers from eastern Canada to move west, and the program for the 1912 Calgary Stampede featuring the Big Four: Burns, Lane, Cross, and McLean. The tradition continues, and in 2008 the Stampede was inducted into the ProRodeo Hall of Fame, and everyone from rock stars to royalty have attended.